Congratulation for being able to be here to get this vital information. SMS (Short Message Service): This service allows us to send text message directly from our mobile phones to another person’s. 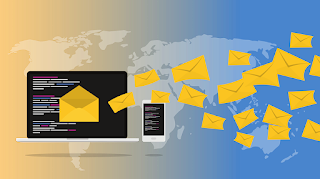 Which many are familiar with, but recently, internet has facilitated the sending of instant SMS that we can now send SMS from the internet to numerous phone numbers and it is directly delivered to their mobile phones via internet SMS gateway. · And more than 50% of Nigerians use phone daily (that is about 80 million people) and out of these 80 million 90% of them check their phone within the first 5 minutes when it rings or beeps. While SMS is fast becoming more common and the most effective means of communicating to people within the same goals or belongs to the same group or people with common interest like. Members of a social club. Association of Trader/business owners etc. SMS messaging proved effective because whenever a SMS is sent the recipient instantly gets the message in palm and quickly check it. thereby getting the information passed and respond to it without any delay, this is one of the main reason why it is adopted by many especially business owners. Now, let be realistic with our self, the cost of sending SMS from the internet SMS Company are relatively small compared to what our mobile phone network providers charge. Am going to introduce a special site where you can start getting SMS unit for less than One Naira (#1/SMS unit). It is generally known that network service providers across Nigeria charge N4 (four Naira/Sms unit). And of which they also offer bulk sms bonus ranging from N2 and above. While this would seem cheap and affordable, imagine that you can cut this price down to a quarter. As a bulk sms dealer, you can purchase LARGE SMS UNIT from 85kobo.com for as low as (#1 per Unit). Let assume we have decided to render bulk messaging service to a church with 10,000 members who normally send out message to all its member 3 times a week and we are charging them N2/SMS unit, which they are going to honor our service because it going to reduce their cost. N1 x 10,000 x 3 =N30,000 in a week . So our profit is based on the volume of customers. Now you can agree with me that you can easily make more than N100k from this bulk sms business. While others sees it as old fashion business. The step by step guide to which you have to just create your account and fund in the amount you which to start with. So it quite easy and charge free. And if you are among those who frequently use Facebook Apk. Don't let any of this information pass you by, employ it and succeed in your quest of having a flexible side hustle.